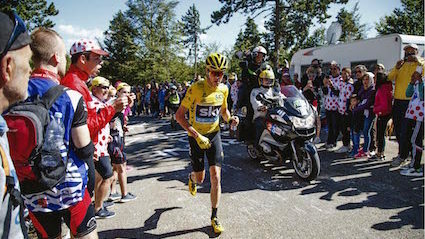 CHRIS Froome has completed a stage of the Tour de France on foot after suddenly realising that cycling is not what a grown man should be doing. The 31-year-old leapt from his bike after seeing attractive girls watching the race, wondering if they were impressed that he was riding so fast, then abruptly understanding that his thinking was that of a 12-year-old. He said: “I was cycling along as usual, musing on who my ultimate Robot Wars champion was and whether I’d be able to stay up late to play Mortal Kombat at the weekend, when I unexpectedly realised I’d been stuck in a developmental rut for the past 20 years. “I dropped the bike, trying to give the impression I’d only been on it ironically as a joke anyway, and crossed the line sensibly and sedately like an adult would. CONSERVATIVE politicians who attended state schools should be trusted even less than the posh ones, the public has agreed. Following the appointment of 17 state-educated ministers to Theresa May’s cabinet, fellow state school attendees have warned that they are the bastards you really have to watch. Wayne Hayes of Stoke-on-Trent said: “If you went to Eton, you want to dismantle the NHS because you’ve only ever known the wonders of private healthcare and can’t wait to share its joy. “But if you went to the local comprehensive, it’s personal. You hate the NHS because Lindsey next door whose dad was a doctor was always showing off in her LA Gear and that’ll teach her. 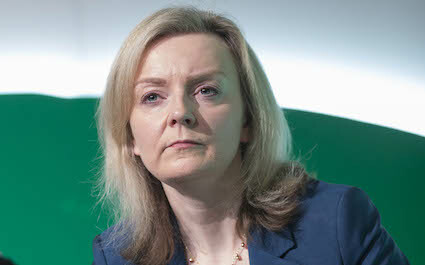 “When Liz Truss introduces mandatory life sentences for toilet graffiti falsely claiming that an individual, or an individual’s mum, is a slag we’ll wish the justice minister was a nice girl from Marlborough College instead.